HAVANA .- "Can you learn to dance Cuban salsa in a week?" I ask again, insistently, and Professor Saray Savón Mulén, with eight years of experience, nods again. "Yes, you can, the training of the instructors is for that to happen." We are in a brief stop of the punctual and well organized program of a morning with Club Salseando Chévere, which this time hosts one of the 15 and up to 25 groups of German visitors that come every year, although they also come from many other latitudes. The purpose is to learn to dance Cuban salsa. And yes, both students and professors take it seriously! The way the young German Tabea sets the rhythm with her feet proves that, the cadence of the Tumba can enter the blood if you learn to "hear." She works at a glassware and this is her second time here. He likes to come to Cuba and says that in Salseando ... he learns and has fun. The class is dedicated this day to the chachachá, because here the most important Cuban dance genres are taught, among them also son, mambo, rumba and Afro-Cuban rhythms, although more recently they have incorporated workshops of Kizomba, Bachata and what has been called Salsatón. The tumbadora accompanied by the guayo and the cencerro mark the passage all the time after the students, about thirty, had the first approach to dance with one of the classic pieces of Cuban dance: "La Engañadora", by Enrique Jorrín. "One, two, chachachá; one, two, chachachá, "repeats the main instructor in German, so that each one sits and assumes the sound that will make him move his feet consistently. It is the basis for learning salsa. Damián Zayas, a musician with extensive experience, and who has been playing the tumbadora, says that it is better " live percussion, because it is more dynamic, more active, more felt. It is not the same to teach rhythm with the instrument that with the recorded music ", it alleges. "We use percussion so that they learn how to move in the strong times of our rhythms ... Cuban salsa is nourished by all those dances from the island. 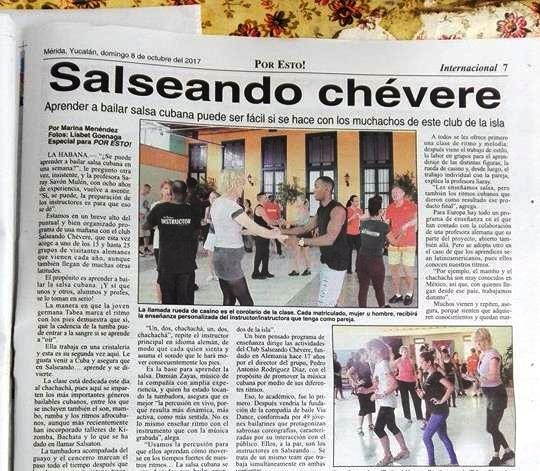 A well-thought-out teaching program directs the activities of the Club Salseando Chévere, founded in Germany 17 years ago by the group's director, Pedro Antonio Rodríguez Díaz, with the purpose of promoting Cuban music through its different rhythms. That, the academic, came first. Then came the founding of the dance company viaDanza, made up of 49 young dancers who play the choreographies, characterized by their interaction with the public. They, at the same time, are the instructors in Salseando ... It is a same team that works simultaneously in both slopes. The emergence of the dance group was a necessity. Here, in the academy, you work in groups and then individually with each student. That is why it is necessary the presence of sufficient instructors, both men and women, and they accompany the night out recommended to all enrolled so that can prove what has been learned in practice, in a real environment. Gretel Reyes, responsible for Communication in the project, explains that they are very rigorous with the training of teachers. "We are organized in a way that we can constantly overcome. The most experienced teach the newest. " Dancers / instructors should also strive with language. Although there is a main translator for the group classes, when they happen to the individualized ones each one "goes by its account". It is curious to see that the teaching of Cuban dances is governed by a program of classes, as for any other subject. In this case, even paying attention to the geographical origin of the student. Because, of course, a European learner of Cuban dances is not the same as one of Latin origin. Everyone is offered a class of rhythm and melody first; then comes the work of style, work in groups for learning different figures, the rueda de casino and, of course, individual work with the couple, explains Professor Saray. "We taught them salsa, but also the Cuban rhythms that resulted in that final product," he adds. For Europe there is a whole program of teaching in which they have had the collaboration of a German teacher who is part of the project, also open there. But another is adopted in case the apprentices are Latin American, because they know our rhythms. "For example, mambo and chachachá are very well known in Mexico, so, with those who come from that country, we work differently." Many come and repeat, he says, because they feel that they acquire knowledge and are marked by our methodology, which is very own and has an internationally created profile. Already the rueda de casino is formed and I am amazed when the leader sings the next turn: "Dile que no", and the male executors, among which there are also German students, make the corresponding corridor. The contagious music of the Van Van floods the large terrace converted into living room, in the old house. Andrés Trufín Abreu, founder of the group where he remains a veteran instructor, claims to feel happy. "I have the satisfaction that with my methodology, those who come for the first time dance, and leave happily." "And what is his formula?" I ask. "Correct them well and put a lot of dedication. My technique is patience. " víaDanza, Compañía de Baile was founded by artistic director Pedro Rodriguez Diaz and fosters Cuban culture, by means of such popular dances as Salsa, Son, Rumba, Mambo, Chachachá and Afro-Cuban styles. Its shows, characterized by a dynamic and authentic staging, boost the direct relation with viewers, who enjoy Cuban traditional music and its blend with contemporary trends. 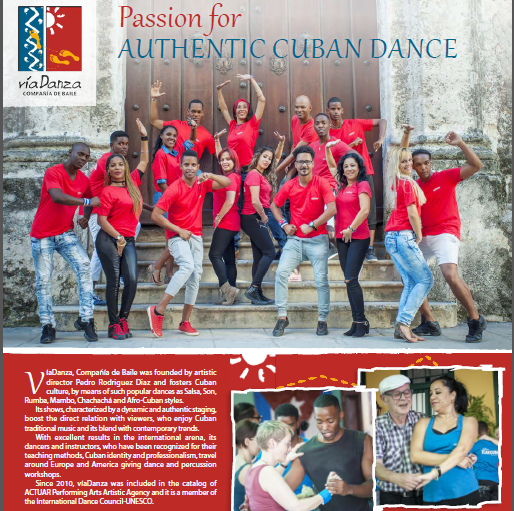 With excellent results in the international arena, its dancers and instructors, who have been recognized for their teaching methods, Cuban identity and professionalism, travel around Europe and America giving dance and percussion workshops. Since 2010, víaDanza was included in the catalog of ACTUAR Performing Arts Artistic Agency and it is a member of the International Dance Council-UNESCO. MIAMI — A U.S. talent agency signed a contract in Havana to work with a Cuban entrepreneur, a seemingly simple deal that marks a big change in the relationship between the two countries. The deal is not the first time a U.S. company has hired one of Cuba's entrepreneurs, a new segment of the population that works outside of the state-run economy. What's different is both parties' willingness to operate openly in public. Regulations passed by the Obama administration allow U.S. companies to hire Cuban workers, and lets those workers establish bank accounts in the U.S. to make it easier to get paid. Blue and Rodriguez held a signing ceremony and press conference at the José Martí Cultural Society headquarters in Havana announcing the new partnership. 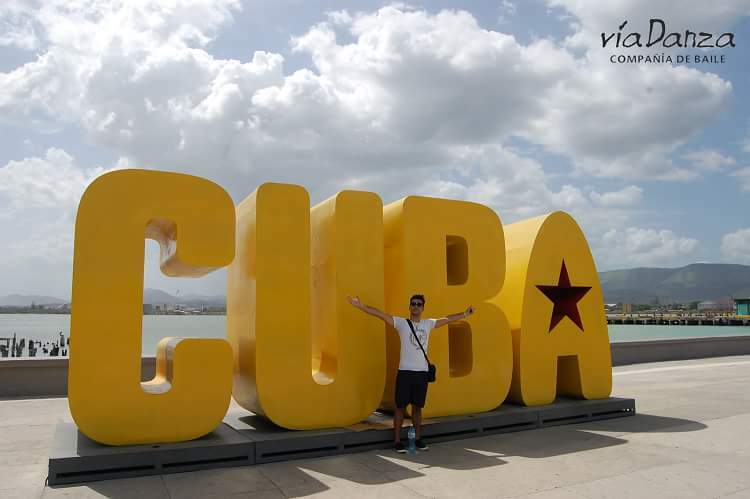 Blue has traveled to Cuba for years, but started looking for ways to expand his business there after President Obama and Cuban President Raúl Castro announced that the Cold War foes would begin normalizing relations. Blue said his company, which represents sports broadcasters including Bomani Jones, Lawrence Taylor, and Ronde and Tiki Barber, helped arrange a Havana fashion photo shoot in December. That's where he met Rodriguez, who coordinated the shoot logistics. Blue said the two hit it off immediately, which started the months of research that led to Monday's deal. Under the agreement, Rodriguez will find artists in Cuba and funnel them to Blue's BEST company, which will then serve as their agents for events in the U.S. and elsewhere. Blue said his firm could also represent the Cuban artists in Cuba, but said they are many limitations there. For example, if one of the artists performs at an event paid for by the Cuban government, Blue could not receive any compensation for that because it would violate U.S. law. That's why Blue and Rodriguez worked for months to craft a contract that satisfied both U.S. and Cuban law. Blue hired a Miami-based law firm that focuses on Cuba to advise him on U.S. law, and Rodriguez frequently ran the proposals by Cuban officials. The end result, Blue said, is the start of a long-term presence in a Cuban market filled with all kinds of largely unknown talent. "We see so much potential in Cuba," Blue said before traveling to Havana for the ceremony. 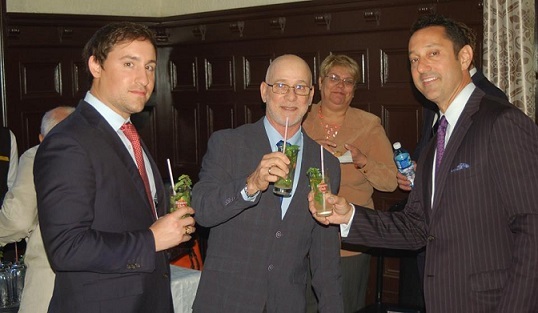 "We've done this all over the world, so Cuba is just such a natural, close market. We're big believers in the long-term potential there." Augusto Maxwell, an attorney at the Miami-based Akerman law firm who helped craft the contract, said he's confident the deal will pass legal muster. Regulations passed by the U.S. Treasury and Commerce departments since 2014 created a general license that allows U.S. businesses to import goods and services from private entrepreneurs. And while Cuban law doesn't expressly state that Cuban entrepreneurs can work for U.S. companies, Maxwell said Cuban law doesn't prohibit it either. Many of the question marks hanging over Cuba's entrepreneurs could be addressed by Cuba's Communist Party Congress. But for now, Saladrigas said Blue's new, public deal could pave the way for other companies to take the plunge. "The good news is that they are happening and they're growing," he said. "It is leaving the Cuban government with few options but to come around to the idea that (these deals) have to be recognized and made legal. I hope they do." " Expoemprendimiento, Memory of an Exhibition Fair "
The CubaEmprende project celebrated its 5th anniversary by means of the Expoemprendimiento. This fair took place from the 24th to the 26th of May at its own headquarters "Padre Félix Varela Cultural Center" in Old Havana. -Ciclo Ecopapel, production of recycled paper. Among other companies with common interests. Many initiatives were carried out by the exhibitors: raffles, tastings, flyers and handles with a discount of product / service cost, cultural presentations, local wifi, balloon rain, human statues, fashion show, hidden treasures and competitions. Our company captivated the public of the fair with a presentation on the Cuban dances and involved many with its movements. In addition, companies were presented, new products were launched, workshops, conferences, audio-visual materials were projected, alliances were signed, awards were given, among others. The CubaEmprende project contributes significantly to the progress of the non-state sector, training entrepreneurs to start and improve their companies. Meanwhile the Expoemprendimiento fair shows up the diversity and creativity of them. Keywords: CubaEmprende, non-state sector, Expoemprendimiento, fair, entrepreneurs, Club Salseando Chévere, víaDanza dance company.